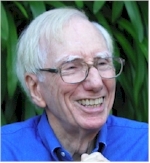 Robert Neelly Bellah, (February 23, 1927 - July 30, 2013) Harvard B.A. ’48, Harvard Ph.D. ’55, American sociologist and educator, served for 30 years as professor of sociology at the University of California at Berkeley. One of the most influential sociologists, Bellah's books, Beyond Belief, The Broken Covenant, Habits of the Heart and The Good Society, shaped the discipline. His recent book, Religion in Human Evolution, continued that tradition. Robert Bellah died July 30, 2013 of complications following heart surgery. He was 86. This site contains Bellah's biography, publications, and a complete bibliography, as well as several of his articles, lectures and interviews. We will continue to add material to the site into the future as it becomes available from his archive.